10:31 my Jude 3 trading system verbally announces trades, so I let ti tell me if there is something to look at. 10:23 now, I'll just wait for the next trade time of 13:37; in about 3 hours. I like to go do something else for at least an hour or two when the wait is that long. 9:33 I have put my Jude 3 trading system on the AUX page just to watch . 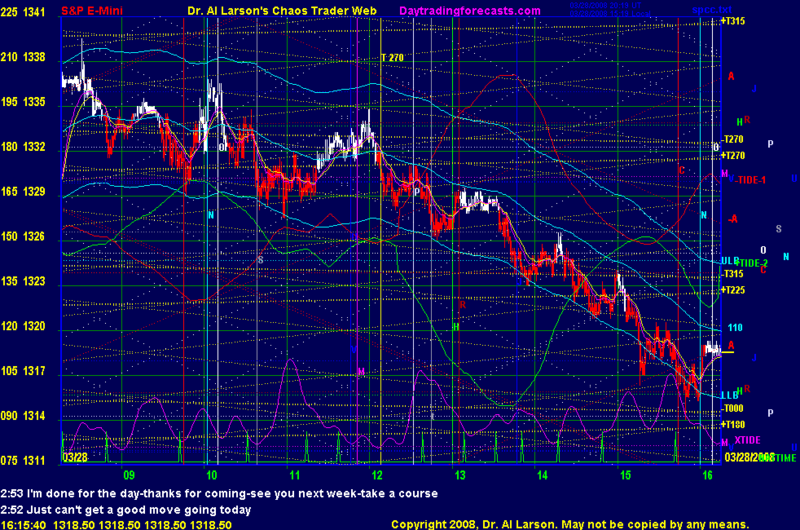 It uses my fractal trend indicator. 3/28/2008 1:48:54 PM Mountain BlackJet:: Al - your Amazon package came in today. Check e-mail for details. Thanks! Very nice XTide2 correlation today. 3/28/2008 3:31:53 AM Mountain cgm:: venus/uranus/jupiter .... strong weekly close?